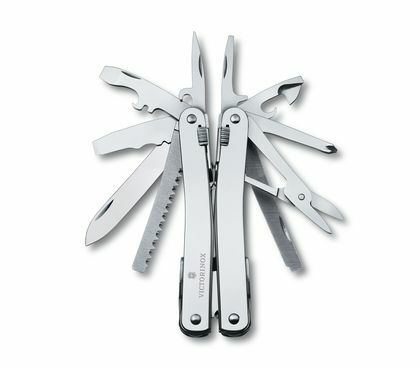 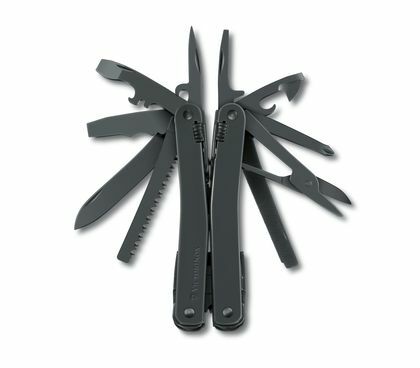 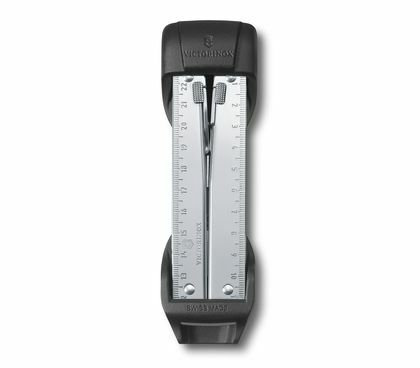 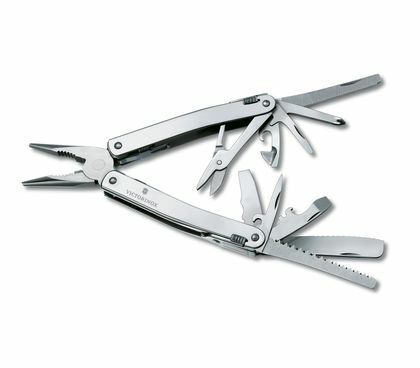 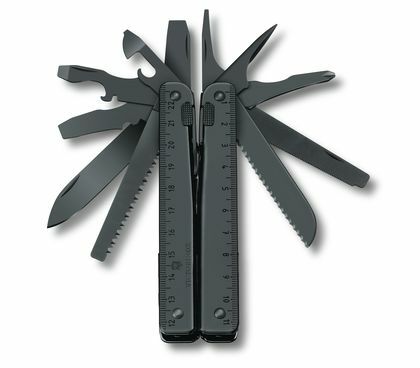 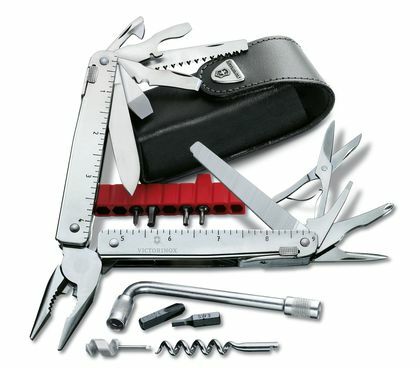 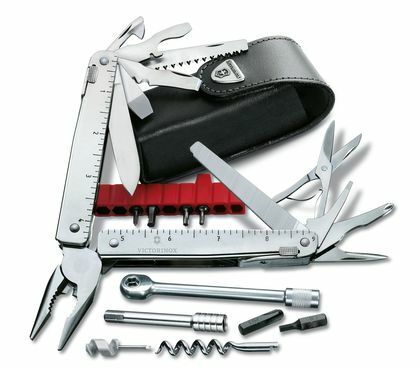 For the ultimate multi-tool that you can take with you everywhere you go, look no further than the SwissTool. 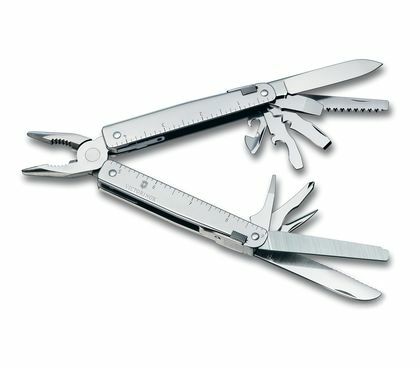 No other tool enables you to do so much from such a small package. 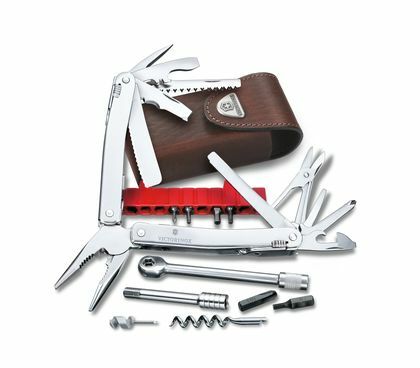 Every tool is accessible from the outside for ultimate convenience; and every tool locks into place with its own spring and lock for ultimate precision. 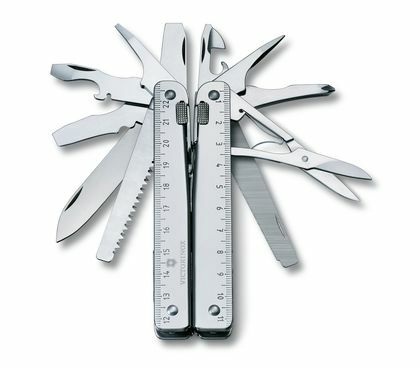 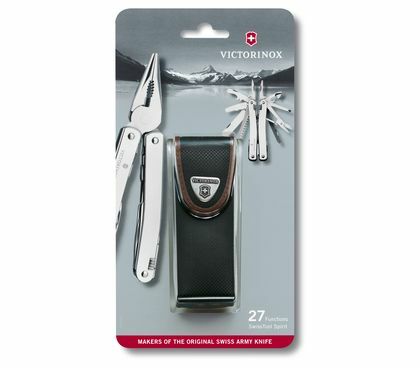 It's the ultimate expression of the Swiss Army Knife DNA.